Here’s a super quick and easy craft that anyone can make! 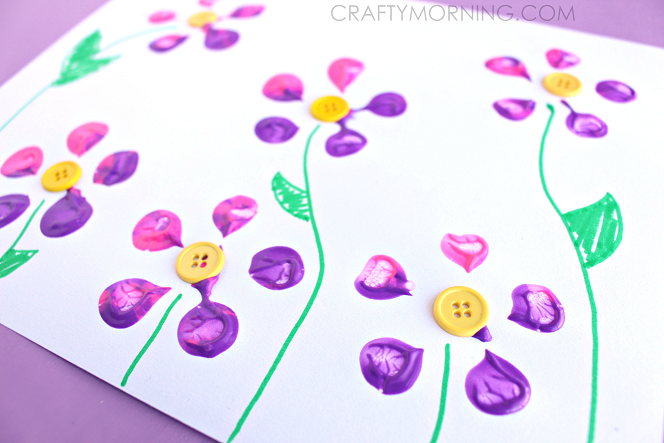 Bottle print button flowers! You can choose whatever color combinations you’d like. Start by putting two colors of paint on a plate and dip the bottom of a water bottle in it. Stamp it on a piece of paper and glue a yellow button in the middle. Take a green marker or paint and make the stems/leaves!